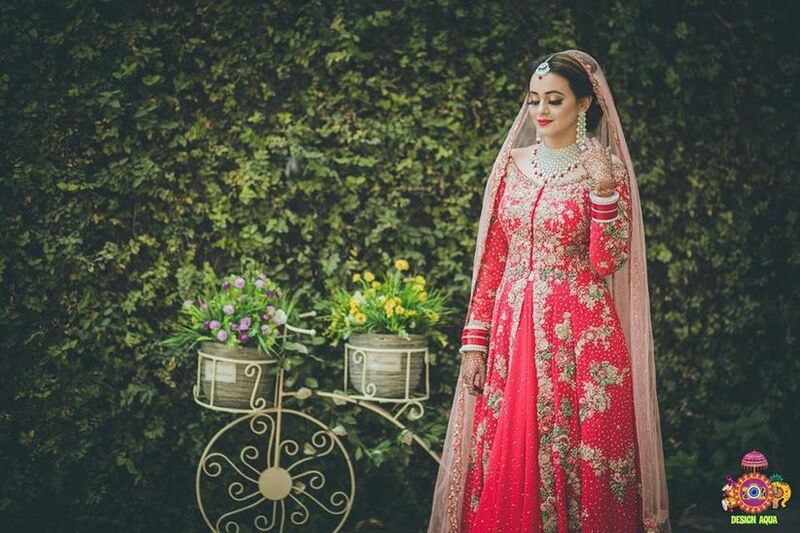 20 Splendid Styles of Bridal Lehenga Designs That Will Make You Look Gorgeous | Wedding Tips ARE YOU A VENDOR? 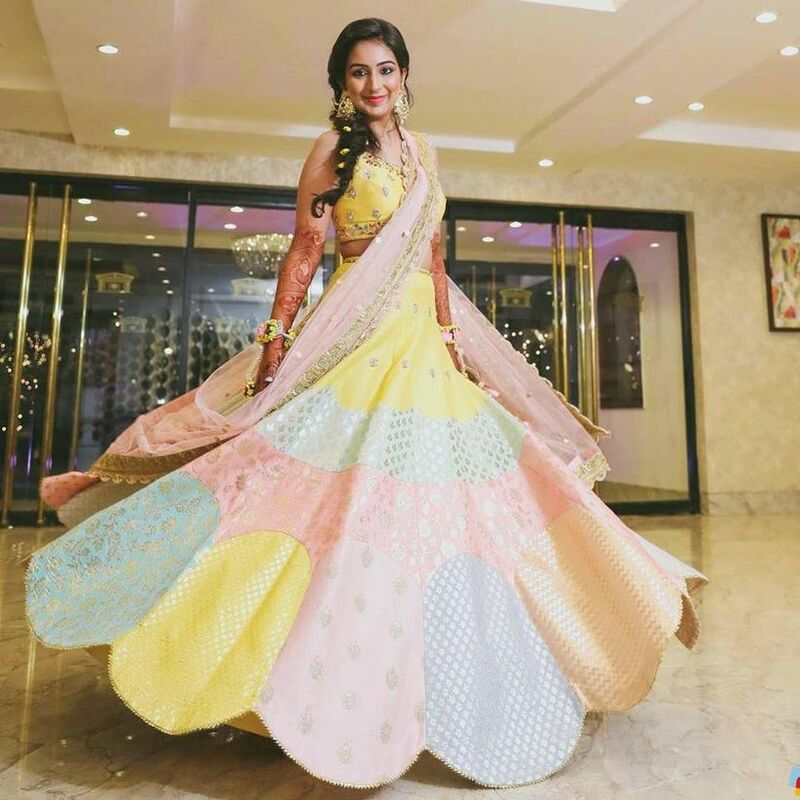 As there is no one-size-fits-all for bridal lehengas, you should look at the really amazing ones to complete your search for a stunner. Discover the variety of bridal lehenga designs with this set of our curation. The bridal lehenga is probably the most exquisite and cherished piece of clothing a woman buys in her life. Deciding which one to buy becomes a daunting task because you want to look regal in all the pictures your wedding photographer clicks. 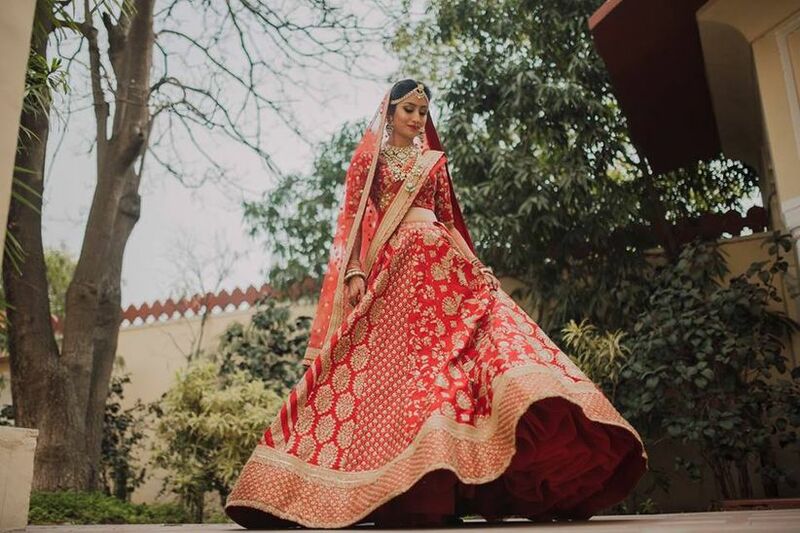 If you are a bride-to-be looking for bridal lehenga designs or just curious to know about the endless possibilities, here are some handpicked bridal lehenga designs for you. Why sport one design when you can have many on your bridal lehenga! Just like this one, your red lehenga can be embroidered with complementing motifs creating a trendsetting look. 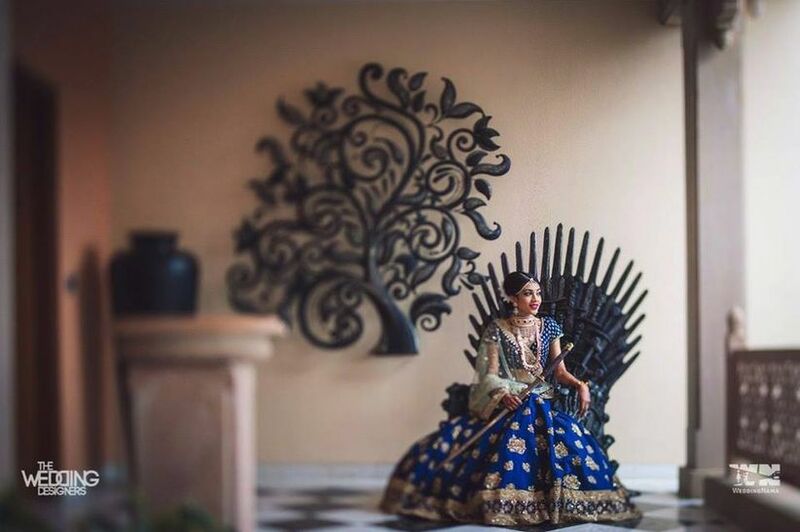 To be honest, Sabyasachi lehengas are all the rage these days. Inspired by his Spring/Summer collection, The Endless Summer, this floral embroidery design has become a popular choice among brides these days. 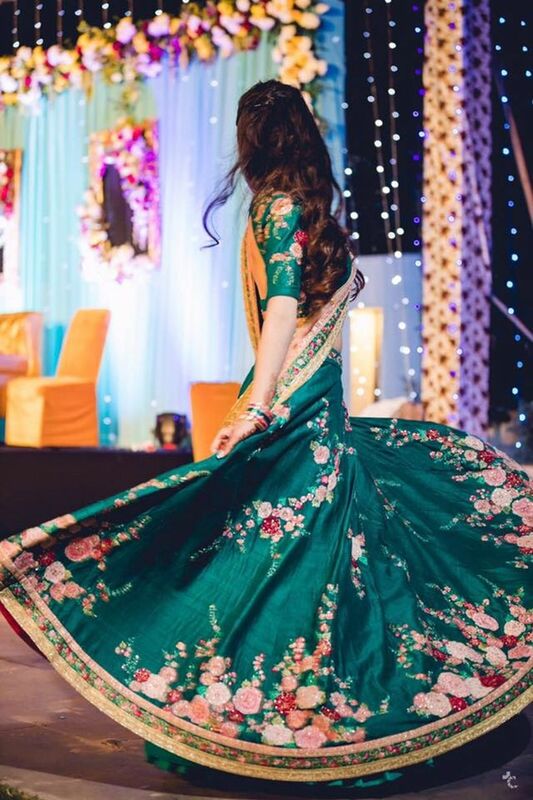 Perfect for a classic vintage look, velvet lehengas look dazzling for a winter wedding. Simple embroidery in gold or silver thread accompanied by beaded embellishments for a border...and voila! There you have a stunner! 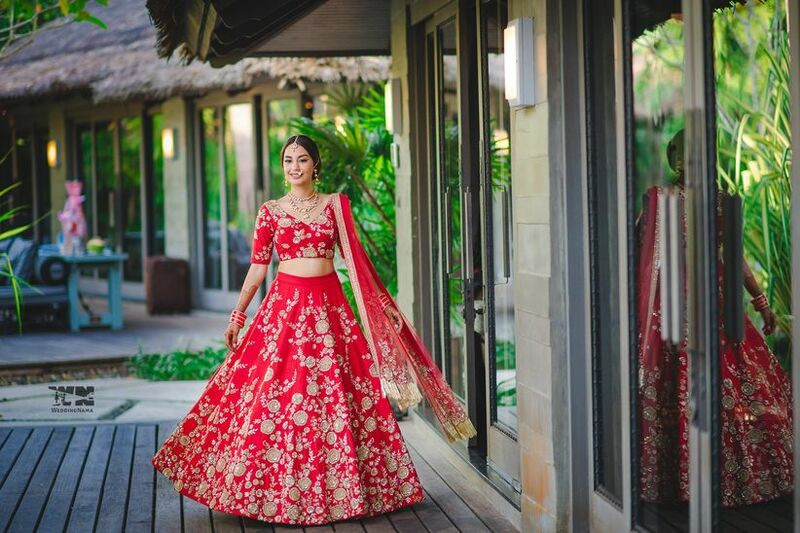 One that stands out among all other bridal lehenga designs - if that's what you're looking for then opt for something similar. Of course, there are classic motifs but they are also old. 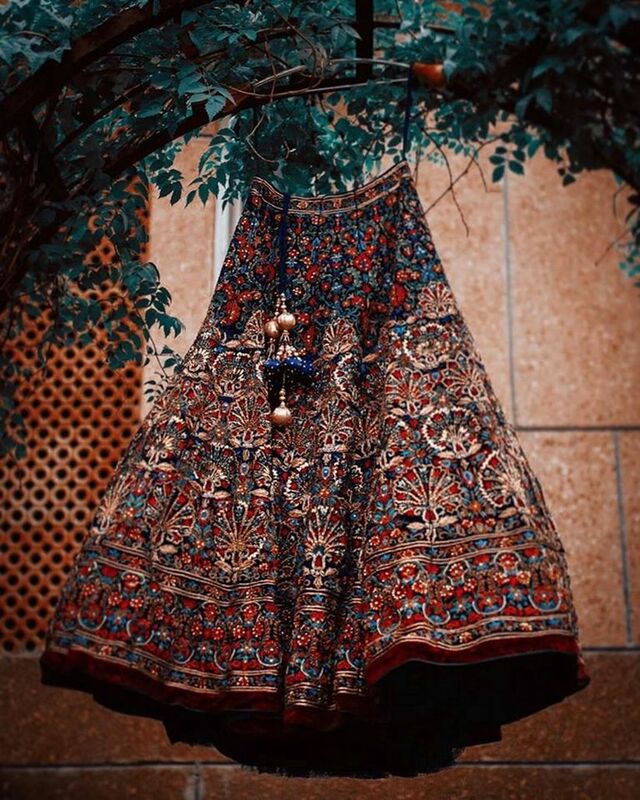 Go for something fresh, that no one imagined being embroidered on a bridal lehenga, like this Pishtaq-inspired design reminiscent of the Mughal architecture. 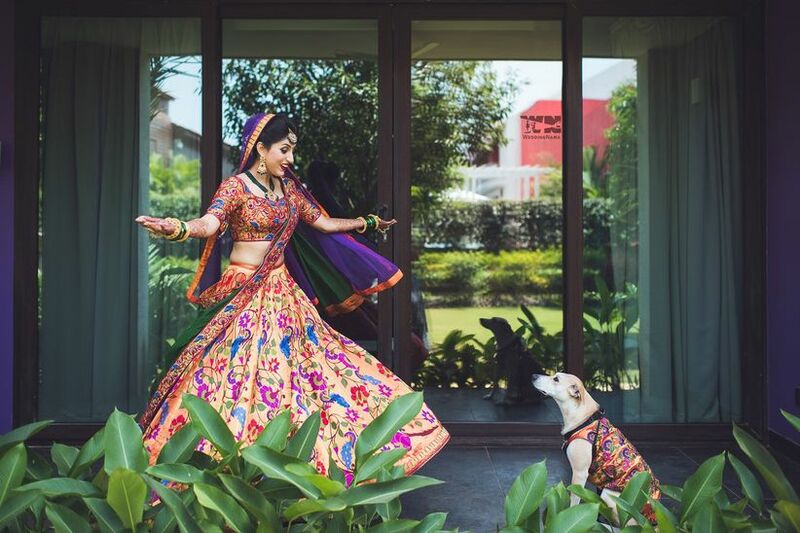 A colour pop with Rajasthani Leheriya print is perfect for a playful bride. Though this design is usually seen in Salwar suits, an expert designer can turn anything into a masterpiece. 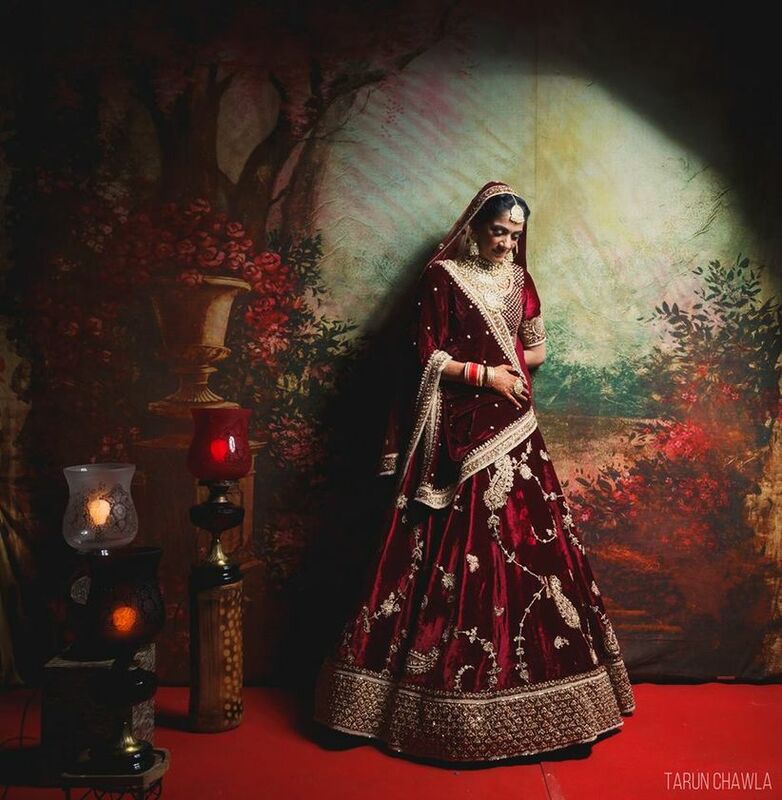 Don this bridal lehenga to look like a vision on your D-Day. When you're going through a plethora of bridal lehenga designs, everything starts to look the same. And that's where the magic of printed lehengas in multi-colour begins to take over you. 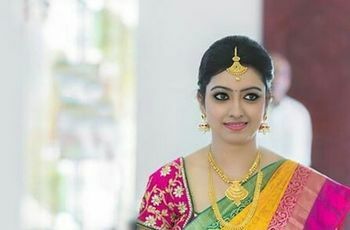 The combination will be unique, which will give you a variety of options for bridal jewellery sets that go well with your look. We say, go ahead and slay that look! When you want the print to be the prime focus of your bridal lehenga, a colour contrast is your best bet. A lehenga with a dark base colour with the print in festive colours can really bring out your regal avatar. 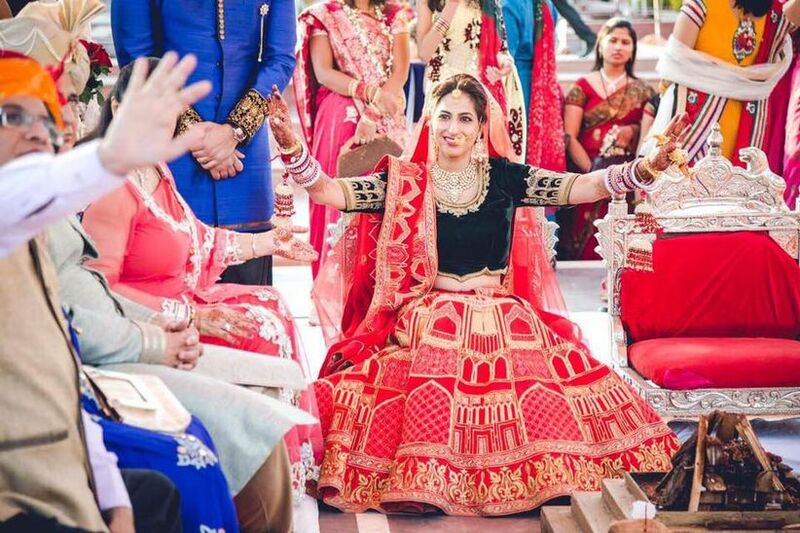 Who would've thought that god imagery could be one of the latest bridal lehenga designs? But it is the imagery in print that makes this lehenga remarkable. Choose to don a shimmery-glittery bridal lehenga if you want to bedazzle your big day. After all, you are the star of the vent and should look like one too. 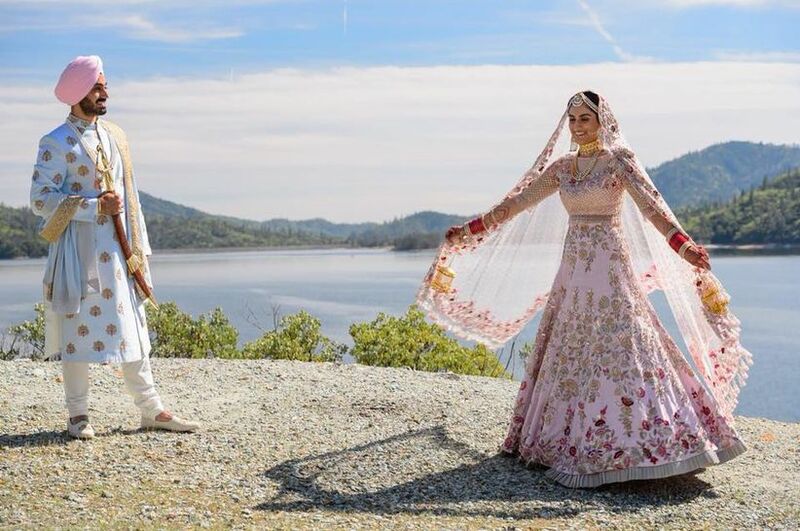 Gota Patti lehenga designs made a huge comeback with Anita Dongre's 'Diary of a Rajkumari' collection and boy, do they look magnificent! So rock your bridal look like 'Rajkumari' in one! Sequin work and Swarovski crystal embellishments can bring any attire to life. 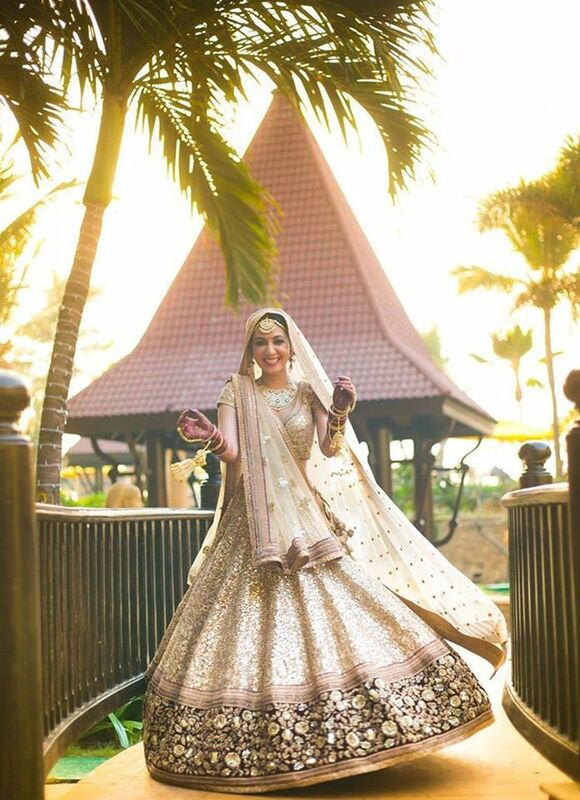 And to choose a bridal lehenga loaded with one can be the best outfit choice you ever made! You can even opt for a lehenga saree bridal design to amp up your fashion quotient. A balanced mix of embellishments is a must. You don't want to overdo any element for your wedding and especially not on the big day. Bling blended with subtlety is a smart choice for the fashion-forward brides. 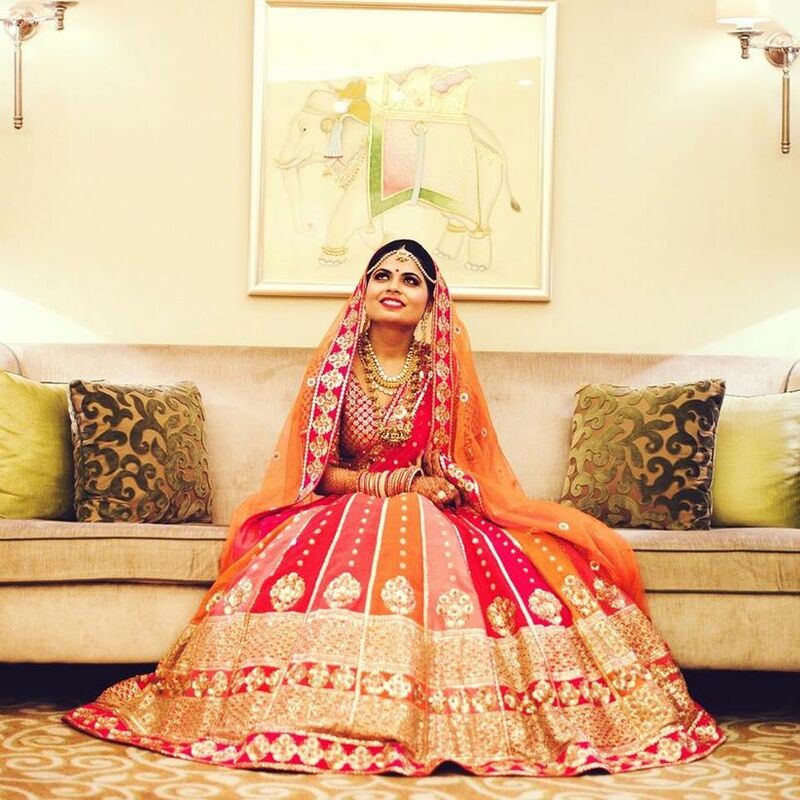 A bridal lehenga that screams 'you' is what you need. After all, you need to be able to twirl to those wedding dance songs. 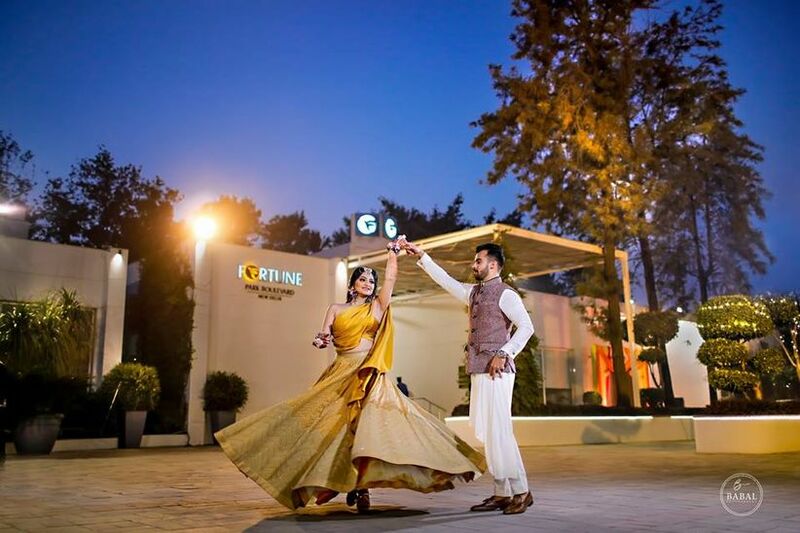 And this mustard lehenga is proof that comfort can be stylish. The one-shoulder blouse with a flowy cape replacing the dupatta might be just what you need for your Mehndi function. 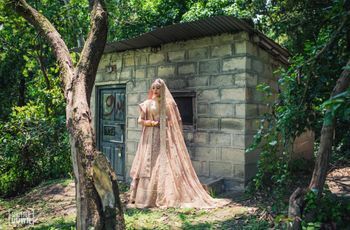 It is the swankiest twist to a classic Indian wedding dress. 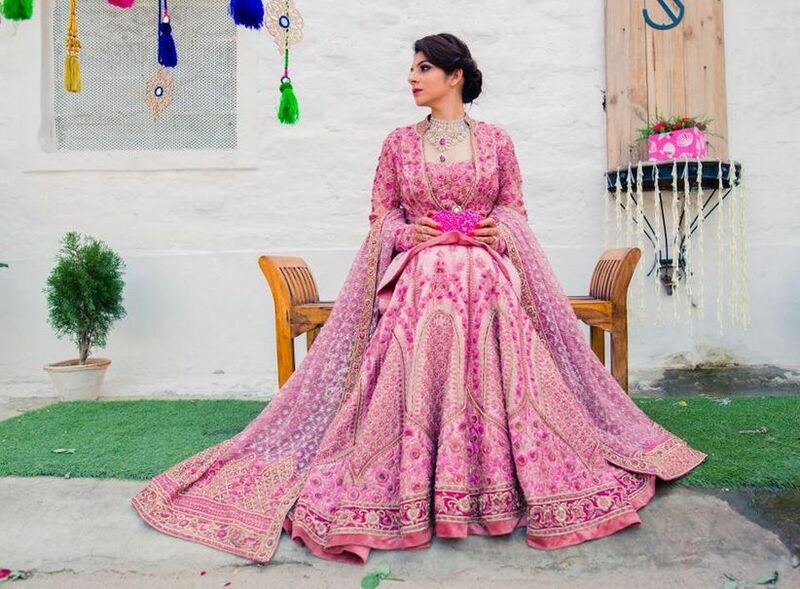 And when we say pastels are in, we mean this Liz Paul patchwork lehenga. It's unusual Kali design make it a captivating piece among all latest bridal lehengas. Who can take their eyes off this ruffled bridal lehenga design! The beautifully layered ruffles are accentuated with the help of can-can. But that is a fabric which makes it hard for the bride to move around to choose its volume carefully. Giving bridal sarees a run for their money in terms of grace, this kurta-lehenga combo emanates elegance. Be bold and flaunt a white bridal lehenga. Pair it with a golden blouse and turn it into an auspicious colour for your wedding. Let the others go green as you look divine in a bottle green lehenga such as this. A lehenga saree would be an even better bridal lehenga design in this offbeat shade. 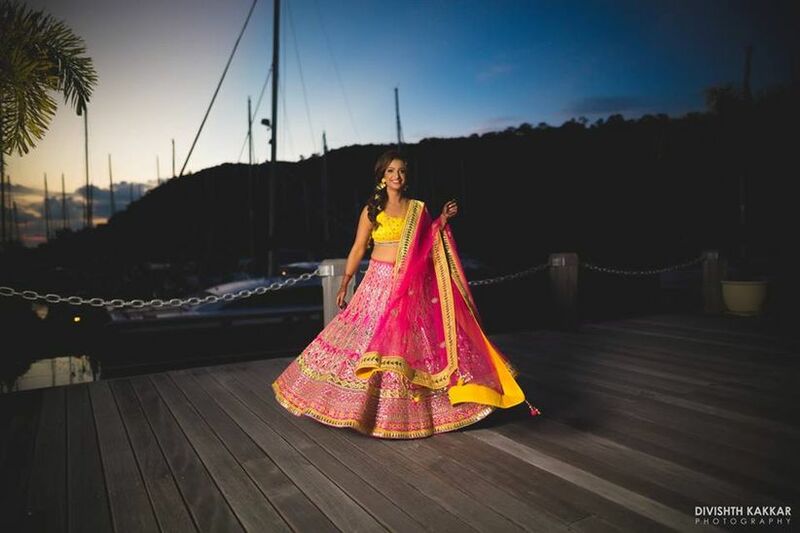 We know that marigold yellow and hot pink is a killer combination for a Mehndi or Sangeet ceremony but whoever said anything about not flaunting it on your wedding. 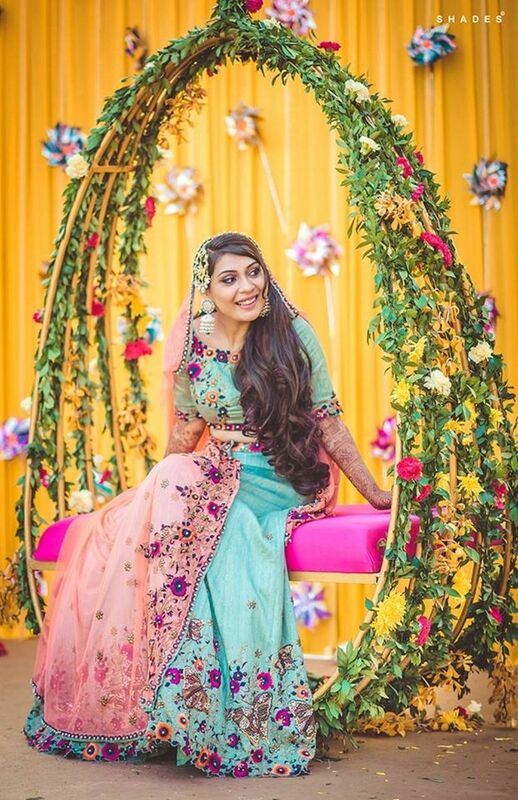 The very essence of spring, this spectacular floral aquamarine lehenga is goals for the millennial brides. 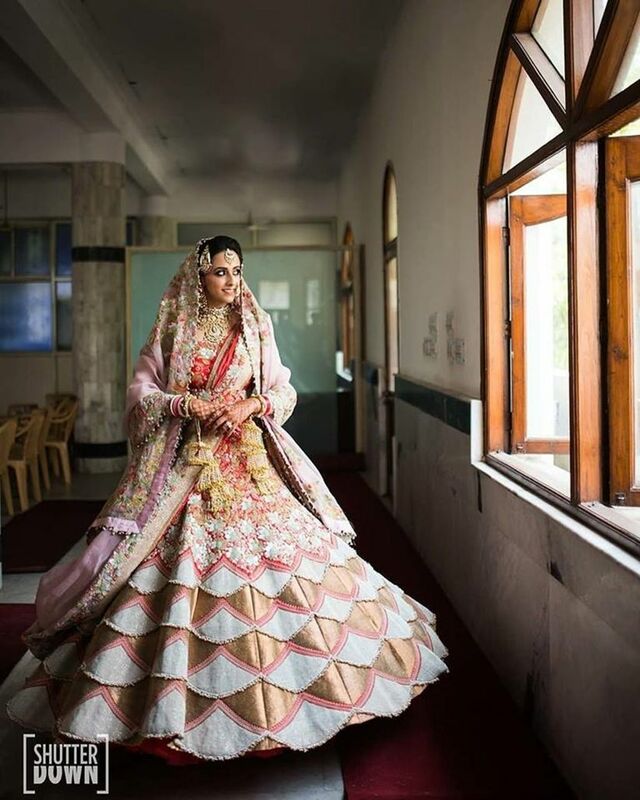 Do you want to reuse your wedding lehenga after the big day gets over? Decide that before you head out for your bridal shopping. 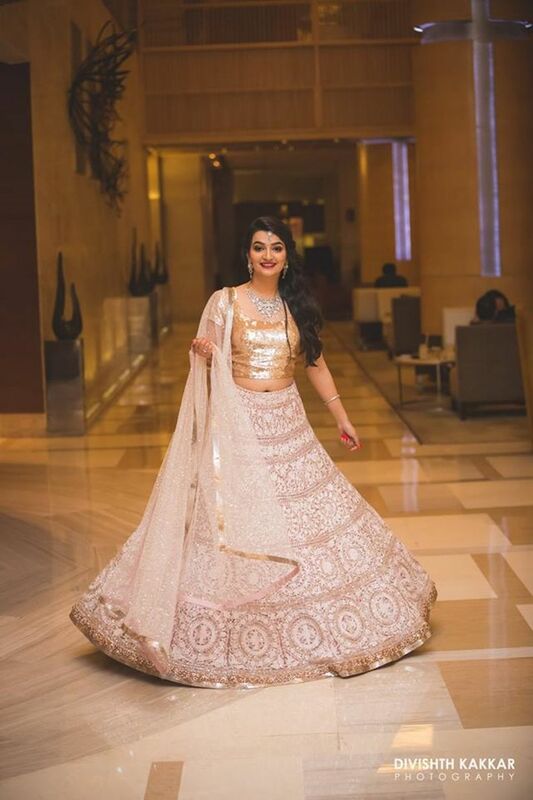 In case, you want to reuse it, you should keep in mind how to mix and match the lehenga and choli with other items like a jacket-kurta, crop top or palazzo. Don't be hell-bent on a particular shade of lehenga. Keep room for some compromise on that aspect because you never know which mesmerising design you might find. All you need to find is a shade that complements your skin tone. 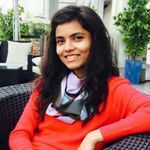 Play around with the dupattas. Try out different draping styles and choose one that accentuates your beauty the most. You can choose to flaunt a single dupatta or drape your way into elegance with two. 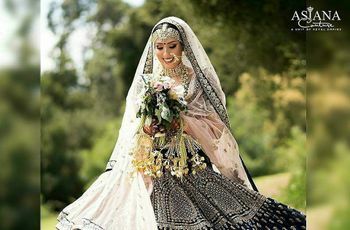 Your lehenga is bound to be heavy so you will need all the support you can get, and that includes your bridal shoes too. Choose a pair that is comfortable and will last you the entire event. Wedges will be the best fit for such a requirement but if you want the jazz of a pencil heel, pick something that is locked around your ankle. 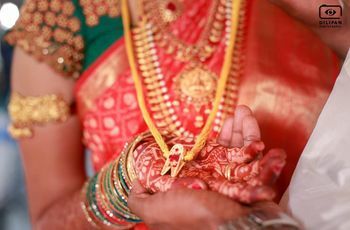 After you've bought the lehenga, bridal shoes and matching accessories, you will feel a huge load off your chest. But it does not get over just yet. You might need to go in more than once for your fitting session so you should be prepared for it by keeping some spare time in your wedding planning schedule. The bridal lehenga must fit you well else its grace will be lost. Avoid that by having fitting sessions well before the big day and aiming for perfection. Each of these head-turners must have wowed you with their beauty making it even harder to settle on one. Trust us, go with what your gut says and you'll surely be the talk of the town with the choice of your bridal lehenga design. Have some more ideas? Share them with us in the comments below.